Yes, it is officially a “cheese” week so let’s end it with something sweet. The holidays bring parties and parties mean eating. 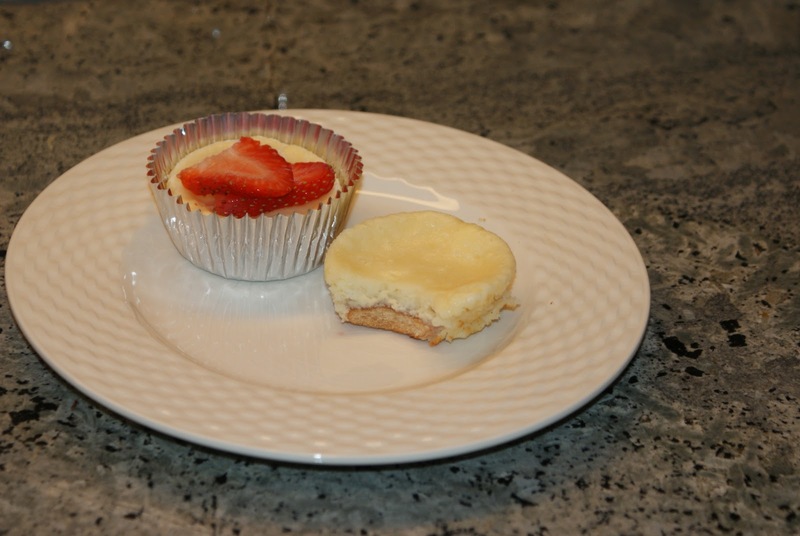 My cousin, Carrie, was in charge of dessert for her holiday party so we brainstormed on a few ideas and she chose one of my mom’s go-to, crowd-pleasing desserts – mini-cheesecakes. They are quick and easy, they are bite-sized and portable, they cook quickly and don’t require a water bath, and the smaller surface area means less cracking. There are 2 flavors below: traditional and white chocolate. What are some of your holiday favorite sweet treats? 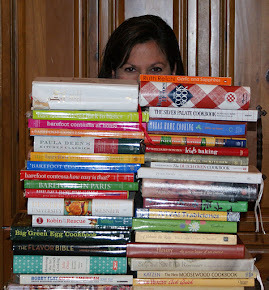 Post a comment or email me your recipe to share. Line muffin pan with paper liners. Place a Nilla wafer on the bottom to form the crust. Fill the muffin cup about 1/2 full with batter (I use a ¼ c measuring cup). Bake at 350 for 15-20 minutes. Once cooled, remove paper liner from the cheesecake. 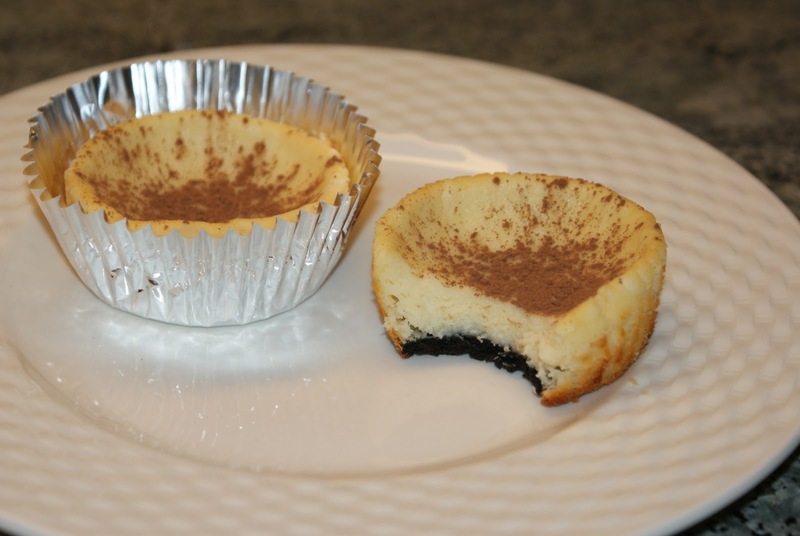 If you want to “present” the cheesecakes, transfer the cheesecakes to foil liners. Top with fresh fruit (like strawberries or blueberries – you can either place fresh fruit on top or pre-slice, mix with 1-2 t of sugar and let it create its own marinade and then top just prior to serving) or pie filling (like cherry or blueberry). Wait to top the cheesecakes until just before serving so they don’t get soggy. This recipe makes about 1 ½ dozen cheesecakes. Store in an air tight container in the refrigerator. Melt the chocolate and cream in a saucepan over low heat until smooth, stirring frequently. Cool. Beat the cream cheese and sugar until smooth; beat in the eggs, one at a time, the white chocolate mixture and vanilla. Line muffin cups with paper cups. Drop an Oreo cookie wafer (with no cream filling) in the bottom of each. Pour batter into the muffin cups about ½ full (that equates to about ¼ c of batter). Bake at 350 for approximately 20 minutes. Once cooled, remove paper liner from the cheesecake. You can transfer to foil liners for a prettier presentation. These are tasty without any toppings but if you're feeling fancy, you can dust with cocoa powder or sprinkle white chocolate shavings (or curls if you're really fancy) on top. This recipe makes about 1 1/2 dozen cheesecakes. Store in an air tight container in the refrigerator.